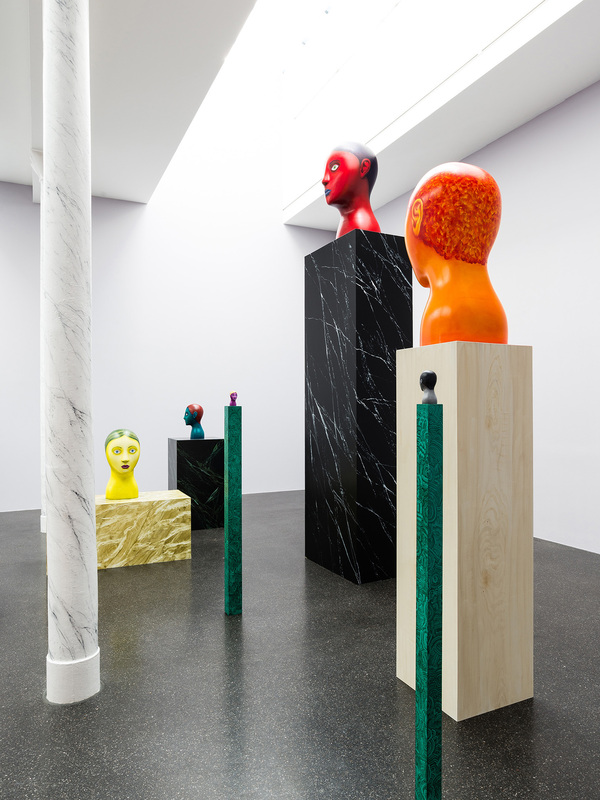 In his third exhibition at the gallery, Nicolas Party presents a new group of works that are a development from a recent exhibition at Modern Art in Oxford, the first show in which the artist showed exclusively sculptural works. 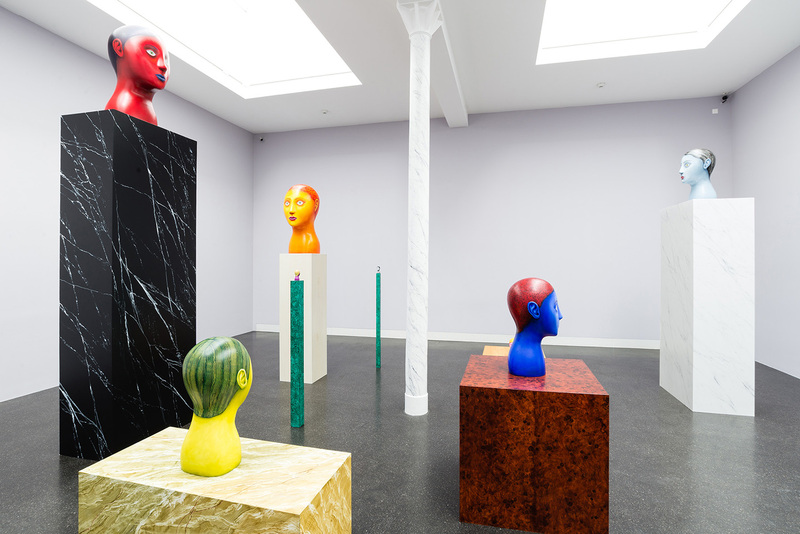 Where the exhibition in Oxford reacted to historical, aesthetic and social cues from the city, the exhibition at the gallery engages more directly with genre, medium and presentation. 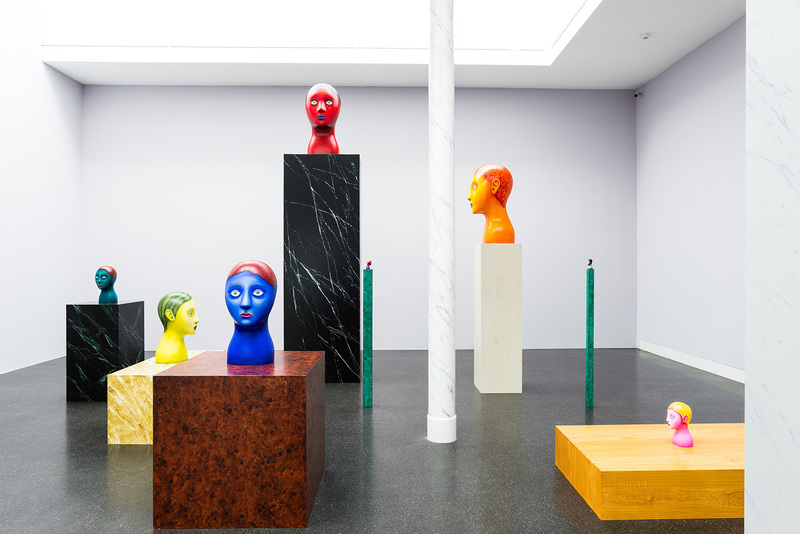 In this, Party takes cues from classical sculpture as well as his own work in portraiture, while engaging with questions around scale and display. 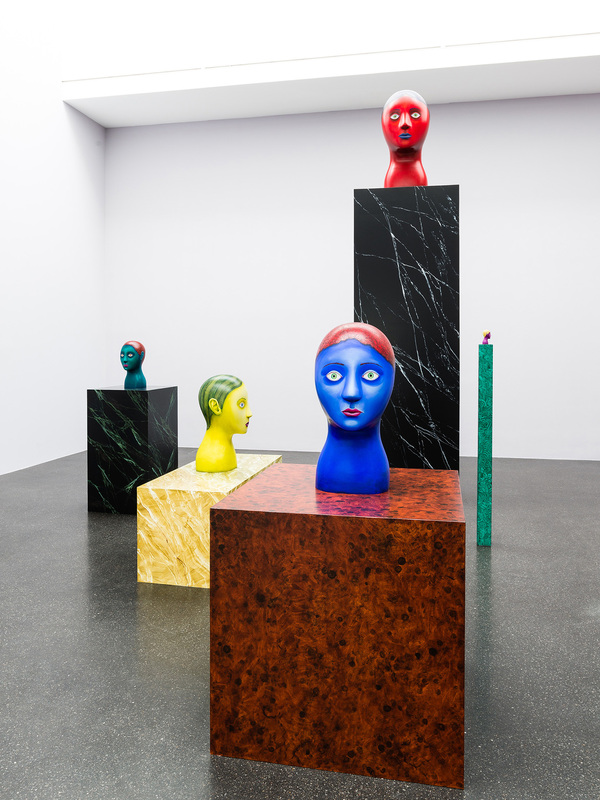 As a point of departure for his painted sculptures, Party references classical statues, which, widely known in stark white marble, were seemingly frequently painted in vibrant colors – a fact that has only recently gained wide acceptance and is subject to increasing study. Importantly, this has an appealing effect of disrupting our sense of pure form in classical sculpture as well as the aesthetic relevance of marble as its medium. 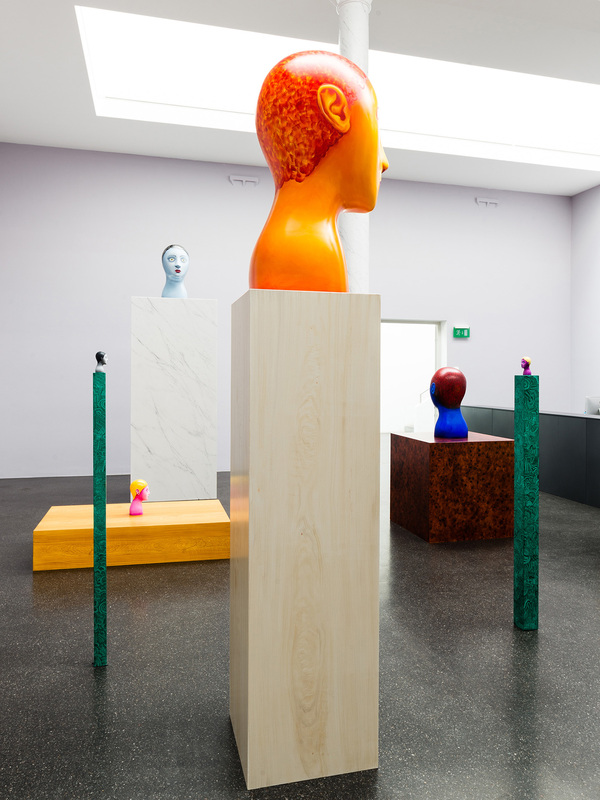 In “Heads”, Party responds to this with familiar tools from his practice. 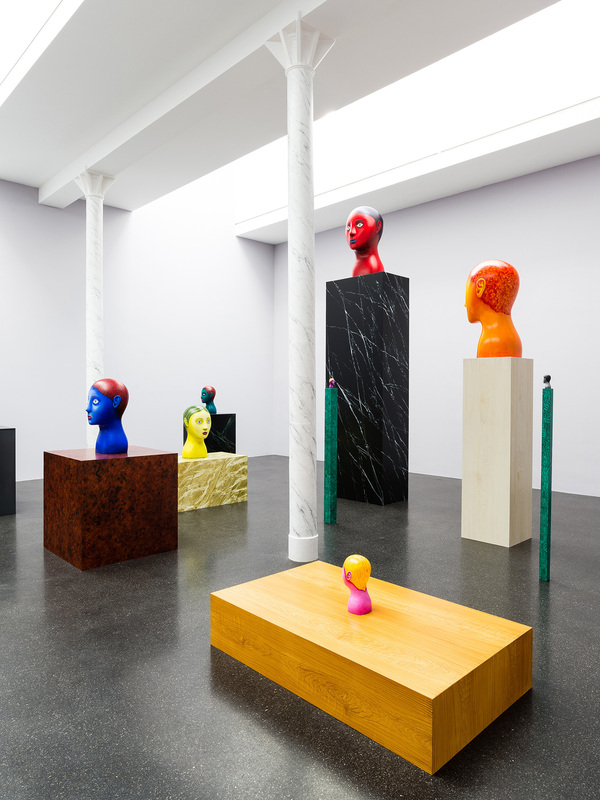 His sculptures are vaguely formed, owing more to abstracted mannequin heads with minimal features, and thus resemble the pared down formal vocabulary of his paintings. 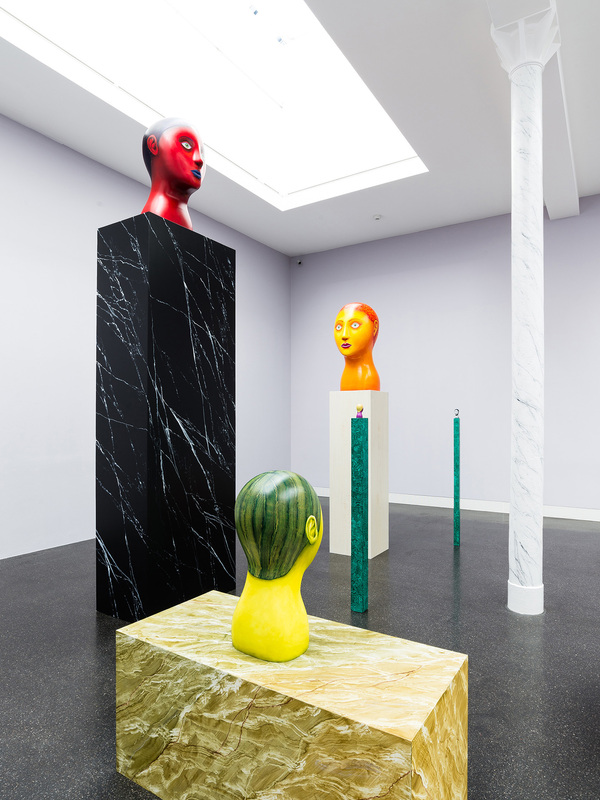 The marble appears elsewhere – in a number of pedestals elaborately painted with different trompe l’oeil techniques. Aside from being highly ornate – next to the marble there is malachite and various types of wood – the pedestals also have exaggerated dimensions. They are too tall or too wide to be practical; or too thin to reliably stand up on their own. 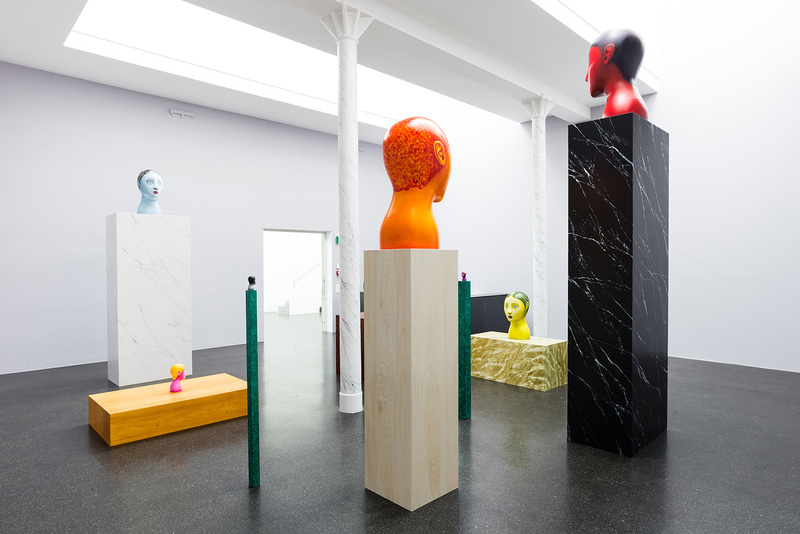 With this staging device, Party at once addresses the material supports by inverting their signified significance and takes on what has been called the ‘pedestal problem’, i.e. the widely regarded severe un-coolness of using pedestals, by taking it over the top. 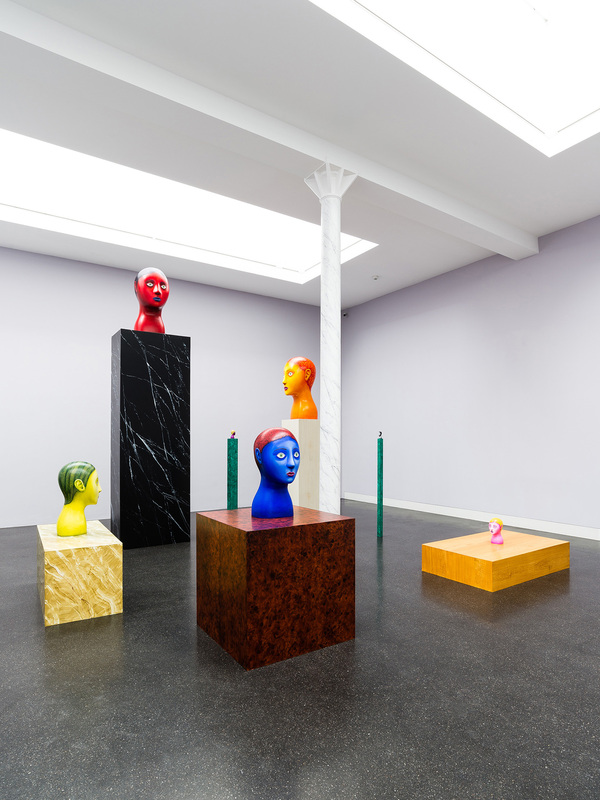 Perhaps most importantly, by doing this, Party creates an elaborate installation within the gallery space that is, of course, sculptural, but at the same time almost more about painting than anything else he has done so far.